Expert Civil Litigation, Mediation and Arbitration. Call 215-567-4400! 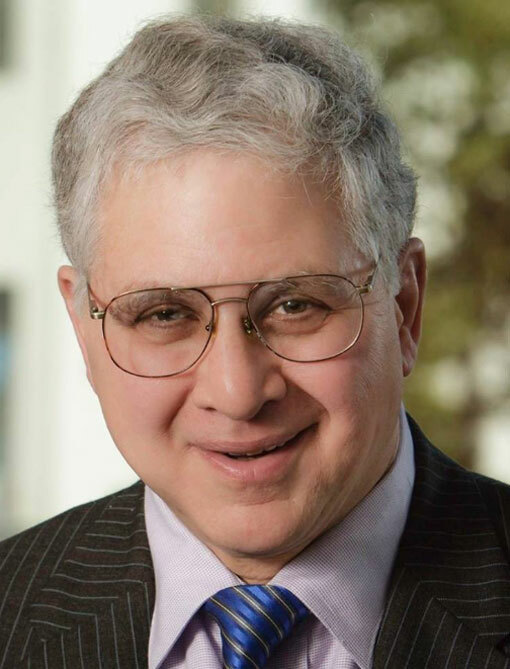 Bruce J. Chasan is a distinguished member of the Philadelphia Bar Association. 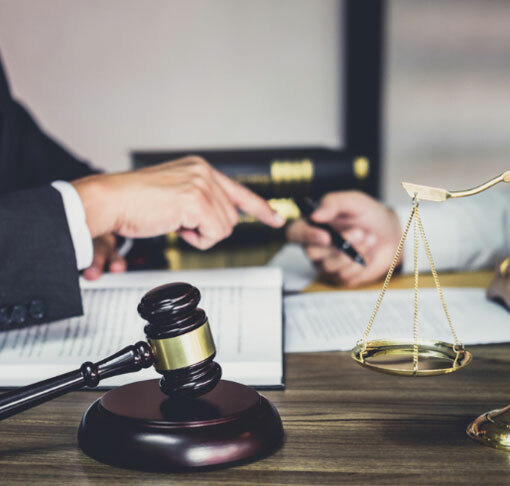 For over 35 years, he has gained experience in litigating and mediating simple to complex matters for the Federal Government, Fortune 500 corporations, and individuals in need of legal assistance. Over the years, he developed expertise in civil litigation, mediation, arbitration, trademark applications for businesses, and patents for innovators, and inventors. Matters he handles include but are not limited to, patent and trademark infringement cases, unfair competition, contract disputes, personal injury claims, and insurance bad faith. Bruce has attained these accomplishments through his wide and varied work in the legal system. His experience in the U.S Department of Justice in Washington, D.C. and his work as an Assistant United States Attorney in Philadelphia prepared him for excellence in criminal and civil trials and appeals. He has been a partner in two Philadelphia Law Firms, and also worked as an Associate Solicitor in the U.S. Patent and Trademark Office. Do you have a question about a patent or trademark matter? How about an “unfair competition” matter? Contact our law office in Philadelphia, PA. With over 35 years of experience, Bruce litigated complex civil matters including pharmaceutical patent infringement (ANDA) cases, and has served as lead trial and appellate counsel in a wide range of business and commercial disputes, and personal injury cases. We value individualized and personal service, efficiency, and cost savings. We are available to consult in complex cases, handle conflicts, and provide supplemental attorney manpower. Referrals are welcome. Counsel of record for civil litigation matters in the U.S District Courts for the Eastern District of Pennsylvania, the Middle District of Pennsylvania, the Eastern District of New York, and the District of Delaware, and in the Common Pleas Courts of Philadelphia, Bucks, Chester and Montgomery Counties, PA. Also serve as local counsel for out of town attorneys and clients. Also counsel of record in an Arbitration under the auspices of the American Arbitration Association. Matters have included trademark infringement, patent infringement, first party insurance claims, benzene exposure risks, insurer’s bad faith failure to settle, unfair competition, franchisee-franchisor disputes, property damage tort claims, collection cases, wrongful use of civil proceedings (Pennsylvania Dragonetti Act), infringement of publicity rights, defamation, and petitions to vacate and confirm arbitration awards. We also prosecute trademark applications and patent applications in the United States Patent and Trademark Office. Civil litigation involving trademark and patent infringement. Represented generic drug companies in patent infringement litigation to obtain court approval to launch generic pharmaceuticals (Abbreviated New Drug Applications — ANDA cases). Prosecution of patents, trademarks, and copyrights. Represented Apotex, Inc. as co-lead trial counsel in patent infringement litigation regarding clopidogrel bisulfate (Plavix®), a leading anti-clotting drug, in Sanofi-Synthelabo v. Apotex, Inc., No. 02-cv-2255 (S.D. N.Y.). Argued appeals in the U.S. Court of Appeals for the Federal Circuit. In pre-trial discovery, exposed inequitable conduct of co-inventor of the second patent-in-suit, forcing Sanofi to withdraw that patent from the suit, and accelerating the entry of generics into the market. Also pre-trial prepared strong validity challenge to the first patent-in-suit which enabled temporary settlement and at-risk launch of generic by Apotex. Co-lead trial counsel for Apotex Corp. in patent infringement litigation regarding omeprazole (Prilosec®), a gastric antacid medication, in AstraZeneca AB v. Apotex Corp., No. 01–cv-9351 (S.D. N.Y.). Co-lead trial counsel for Apotex Corp. in patent infringement litigation regarding calcitonin nasal spray (Miacalcin®), an osteoporosis medication, in Novartis Pharmaceuticals Corp. v. Apotex Corp., No. 02-cv-8917 (S.D. N.Y.). Case settled. Represented Pentech Pharmaceuticals, Inc. and Cobrek Pharmaceuticals, Inc., in patent infringement litigation regarding betamethasone valerate (Luxiq®), for treatment of psoriasis, in Connetics Corp. and Stiefel Research Australia Pty., Ltd. v. Pentech Pharmaceuticals, Inc., No. 07-6297 (N.D. Ill.). Case settled. Prepared and filed Reexamination Requests and petitions in the U.S. Patent and Trademark Office in connection with pharmaceutical patents. Handled other patent infringement matters as co-counsel for plaintiff in High Concrete Structures, Inc. v. New Enterprise Stone and Lime Co., No. 02-cv-86 (E.D. Pa.), involving a mechanical device to facilitate highway transportation of oversize pre-cast concrete structures used in the construction of buildings and parking garages; and as counsel for defendant in Pall Corp. v. BioQuate, Inc., No. 07-686 (E.D. Pa.), involving a sterile connector used in laboratory research and numerous medical applications. In the High Concrete case, wrote winning brief in Federal Circuit appeal, obtaining reversal of a judgment of patent invalidity based on best mode. The BioQuate case settled. Represented defendants in Lanham Act (trademark) cases in the United States District Courts in Atlanta, GA and Camden, NJ. Litigated and settled numerous insurance subrogation cases in state and federal courts. Obtained $1.2 million settlement from a security company in a $3 million fire loss case. Civil litigation involving toxic torts, patent infringement, catastrophic injuries, wrongful death, general negligence, products liability, construction accidents, class actions, and contracts. Approximately 10 jury trials in Pennsylvania State and Federal Courts. Handled appeals in the Pennsylvania Superior Court, Pennsylvania Supreme Court, and in the 1st and 3d Circuit U.S. Courts of Appeals. In particular, handled class action defense on behalf of Sun Pipe Line Company in pipeline rupture case where a cable television contractor struck the underground petroleum pipeline, causing an environmental spill of 50,000 gallons of unleaded gasoline. Obtained reversal on appeal of the trial court’s judgment that Sun Pipe Line Company was strictly liable. Also obtained defense verdict on homeowner claims for personal injuries based on alleged benzene exposure from the gasoline spill. Handled product liability defense in numerous catastrophic bicycle accident cases. Civil and criminal trials and appeals. Approximately 30 jury trials. Cases included eminent domain matters, bank robberies, postal robberies, mail fraud, insurance fraud, an airline hijacking, tax evasion, bank fraud, environmental enforcement, military contracting fraud, and securities fraud, among others. Handled numerous suppression hearings. Argued appeals in the 3d Circuit U.S. Court of Appeals. In particular, obtained precedent-setting criminal convictions under the Clean Water Act of manufacturers of mushroom compost for stream pollution, typified by the matter of United States v. Frezzo Brothers, Inc. Represented U.S. Environmental Protection Agency and U.S. Army Corps of Engineers with regard to programs under the Clean Air Act and the River and Harbor Act of 1899. Defended agency rulemaking in challenges in the United States District Courts and Circuit Courts of Appeals. Assisted in the civil and criminal enforcement of environmental statutes in various locations across the United States. Argued appeals in the D.C., 4th, 6th and 9th Circuit U.S. Courts of Appeals. In particular, in DuPont v. Train, obtained dismissal in the U.S. District Court of the chemical industry’s challenge to EPA effluent regulations under the Clean Water Act, and the dismissal was upheld by the Court of Appeals and in the U.S. Supreme Court. Advised Farmers Home Administration regarding operating loans, farm purchases, mortgages, administrative law, truth in lending, and the Freedom of Information Act. Liaison with United States Attorneys and the Department of Justice on agency litigation. Trust our law office to aid you in your legal matters. 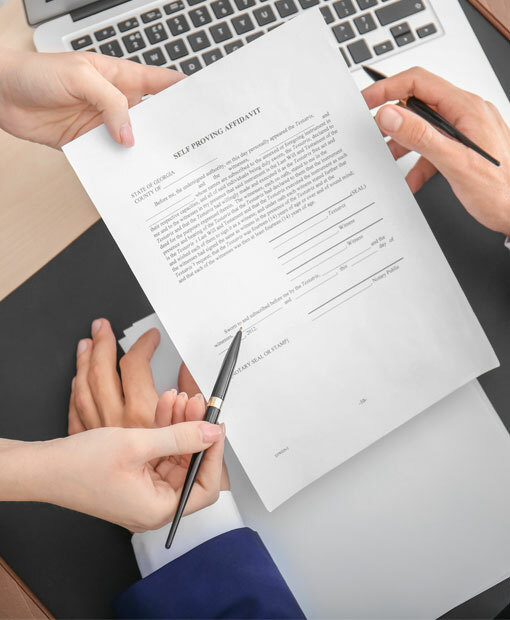 Prevent legal issues from happening to you by having a lawyer that can read your contracts, keep your business filings up to date, and guide you through paperwork to prevent legal problems. In the long run, that saves you a great deal of money and headache. Be prepared. You never know when the next legal bump is around the corner and you might need a lawyer urgently. It’s important that you have an established relationship with one so they can hit the ground running and spend less time backtracking through your history. Call us today at 215-567-4400! High Concrete Structures, Inc. v. New Enterprise Stone and Lime Co., Inc., 377 F.3d 1379 (Fed. Cir. 2004). Obtained reversal in the Court of Appeals of a summary judgment order holding the plaintiff’s patent invalid for alleged non-compliance with § 112 of the Patent Act. In re Berger, 279 F.3d 975 (Fed. Cir. 2002). Briefed and won affirmance of a decision by the Board of Patent Appeals and Interferences declining the patent applicant’s request to declare an interference with an issued patent. Sun Pipe Line Company v. Tri-State Telecommunications, Inc., 655 A.2d 112 (Pa.Super. 1994) (argued). Obtained affirmance of a jury verdict for over $8,000,000 for Sun Pipe Line Company from joint tort-feasors for the environmental clean-up of ground-water contamination from unleaded gasoline that leaked from the ruptured pipeline. Melso v. Sun Pipe Line Company, 576 A.2d 999 (Pa.Super. 1990) (argued), alloc. den., 593 A.2d 842 (Pa. 1991). Was first chair at the jury trial and obtained affirmance of a defense verdict where plaintiffs claimed personal injuries from exposure to benzene stemming from the rupture of the defendant’s petroleum pipeline, which was transporting unleaded gasoline at the time of the accident. Also obtained reversal of the trial court’s holding that Sun Pipe Line Company was strictly liable. United States v. Frezzo Brothers, Inc., 461 F.Supp. 266 (E.D. Pa. 1978), affirmed, 602 F.2d 1123 (3d Cir. 1979) (argued), cert. den., 444 U.S. 1074 (1980). Obtained convictions of industrial polluters, including officers, in a jury trial in one the earliest criminal prosecutions under the Clean Water Act. The U.S. Court of Appeals for the Third Circuit issued a precedent-setting opinion affirming the convictions and defining the reach of criminal conduct in prosecutions under the Clean Water Act. Subsequently defeated post-conviction proceedings in which the defendants sought to overturn their convictions. E.I. DuPont De Nemours and Company v. Train, 383 F.Supp. 1244 (W.D. Va. 1974), affirmed, 528 F.2d 1136 (4th Cir. 1975), affirmed, 430 U.S. 112 (1977). Won a motion to dismiss for the EPA on chemical manufacturers’ challenge to effluent regulations under the Clean Water Act. The district court held it did not have jurisdiction, and this was affirmed in the Fourth Circuit Court of Appeals and the U.S. Supreme Court. This was a seminal decision construing the Clean Water Act.